On the line of Happy to Help, Vodafone Essar the leading telecom carrier today comes out with an online survey to enhance user experience with its website. 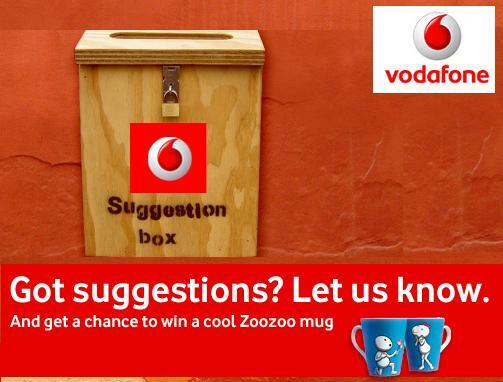 With the online survey Vodafone also giving a chance of getting zoozoo mugs to the people visiting there website. The survey captures information regarding frequency of visit, objective of visit and most important it take feedback of various factors related to website like content, images, ease of navigation and organization of information. Some of the questions are What kind of connection do you have from Vodafone? OR Approximately how many times have you visited Vodafone.in in the last 3 months? and Your reason for visiting Vodafone.in? Any visitor of the website www.vodafone.in can take the survey and it is not necessary to be a Vodafone customer to register for the same. 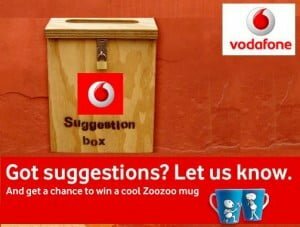 It seems that Vodafone has now decided to enhance the end user experiences with people visiting their website by trying to step in their shoes with the slogan Lets Know Us? Also the Voda guys are asking about any further enhancements a user wants in the website as regards of content, navigation, also in the revamp, Vodafone is considering a set of services on the website and is asking users which will benefit them more.All the above shows that Now Vodafone is planning to come up with something that would be 100% user specific. As a vodafone business associate. I love vodafone so much. The rate cutter and net connectivity is so good. Iam fully satisfied with vodafone.